Following are resources related to Government 2.0. This is not meant to be a comprehensive directory but rather a capsule summary of some of the best tools and resources related to the reform of government, politics and campaigns — we’re pretty sure some of these will be new to you. Please add your own suggestions below! We think Apps.DC.gov rocks — it provides apps and Web 2.0 solutions created or funded by the city of Washington, DC’s technology team as well as third-party apps created by independent developers. In some ways superior to the federal gov’s Data.gov, Apps.DC.gov provides a model for city governments everywhere to follow. Included are apps on where to find parking in DC, historic tours, crime info, wi-fi locations and a DC atlas. Related: Data.DC.gov, DataSF.org. 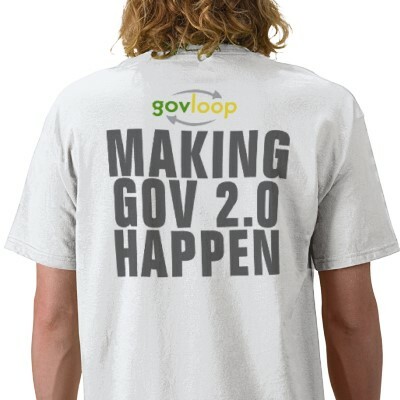 Asocial network for government begun in 2008 by a single federal employee in his spare time on the social platform Ning, GovLoop now has more than 30,000 members at all members of government. Its goal is simple: to foster communication and share ideas among government staffers. related to Recovery Act spending and allows for the reporting of potential fraud, waste, and abuse. Anonpartisan, non-political organization, Code for America helps city governments become more transparent, connected and efficient by connecting the talents of Web developers with people who deliver city services and want to embrace the transformative power of the web to achieve more impact while spending less. CFA works with city officials and coders to identify and develop Web solutions that can then be shared and rolled out more broadly to cities across America. New York Law School’s The Do Tank: Democracy Design Workshop strives to strengthen the ability of groups to solve problems, make decisions, resolve conflict and govern themselves by designing software and legal code to promote collaboration. Tools alone cannot create a culture of strong groups. Hence Do Tank projects address the role of legal and political institutions, social and business practices and the visual and graphical technologies — what they term the “social code” — that may allow groups not only to foster community but to take action. Beth Simone Noveck, U.S. deputy chief technology officer for open government, founded it. Anonprofit organization, Expert Labs is an independent initiative created in late 2009 to help policy makers in the U.S. government take advantage of the expertise of their fellow citizens. Its first major goal is to help the White House answer the question: What are the big scientific and technological challenges that America should tackle? Run by former SixApart executive Anil Dash, who was recruited by the White House Office of Science & Technology Policy, Expert Labs may evolve into an incubator of Gov 2.0 projects. Founded by author and Harvard professor Lawrence Lessig, FixCongressFirst is a project of Change Congress, a nonpartisan advocacy organization whose sole purpose is to protect the independence of Congress by fighting the influence of money in politics. Its goal is to restore public trust in our government by passing a hybrid of small-dollar donations and public financing of elections. 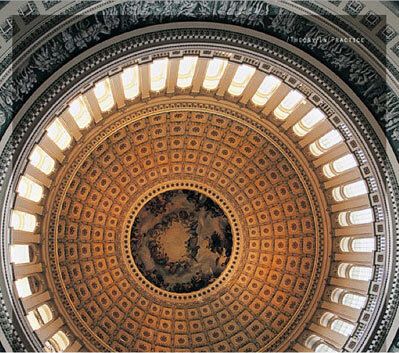 Afree Congress-tracking site begun in 2004, GovTrack.us gathers the status of legislation, voting records and other congressional info from official government sites and then applies the latest technology to make the data more accessible and useful. The site reaches about 1 million people a month. Almost half the entries in Sunlight’s 2009 Apps for America contest drew on data from GovTrack. Anonpartisan, nonprofit based in Berkeley, Calif., MAPLight.org offers search tools that illuminate the connection between Money And Politics (MAP) via a database of campaign contributions and legislative outcomes. Its Committees Tool provides a window into special interest influence, revealing campaign contributions received by each committee member from special interest groups for key bills placed before every Congressional committee. Interview at Socialbrite. At OpenCongress, everyone can be an insider by tracking congressional bills and votes by members of the Senate and House. OpenCongress is a free and open-source joint project of two nonprofits, the Participatory Politics Foundation and the Sunlight Foundation. Aproject of the Center for Responsive Politics, OpenSecrets shows the connection between money and influence, offering tools, datasets and a blog. For example, its OpenData release lists the top 100 organizations across industries and makes the data downloadable in various formats. The center is continually enhancing the site to help us see who’s giving and who’s getting. Brought to you by the Sunlight Foundation, Politiwidgets is the new home for up-to-date, embeddable political infographics about members of Congress and other elected officials. Create and customize your own free widget on subjects like earmarks, campaign contributors, interest group ratings, vote reports and more. Very cool! Anonprofit organization, Public.Resource.org has been instrumental in placing government information on the Internet, such as these reports detailing codes passed by California state agencies. Its founder and president is Carl Malamud, author of eight books and former CTO of the Center for American Progress. Aa nonpartisan nonprofit based in Washington, DC, the Sunlight Foundation uses cutting-edge technology and ideas to make government transparent and accountable. The organization focuses on the digitization of government data and the creation of tools and websites to make that data easily accessible for all citizens. It’s a think tank, campaign, investigative organization, grant-giving institution and open source technology community rolled into one. See especially its Sunlight Labs project. Socialmedia.biz interview with co-founder Ellen Miller. Founded by The Sunlight Foundation and with data supplied by OpenSecrets.org, Transparency Data is a new resource that lets you explore the connection between federal and state contributions and their impact on public policy. Conduct a search on federal lobbyist registrations, federal grants and federal and state campaign contributions, download records, chart how much a company has spent on lobbying and make many other queries. The mission of Tweet Congress is to promote transparency on Capitol Hill. The site provides a directory of all congressional Twitter users and aggregates their tweets. (Republican congressmen outnumber their Democratic counterparts on Twitter.) The organization urges members of Congress to engage directly with their constituents in a dialogue via social media. Born in the mid-1990s, 311 is a dialing designation set up for use by municipal governments in both the U.S. and Canada. Dialing 311 in communities where it’s supported will typically direct a caller to a call center where an operator will provide information in response to a question, or open a service ticket in response to report of an issue, like a pothole or a broken street light. 311 operates in most large cities in the U.S. and several smaller jurisdictions. The Open 311 drive is a push to develop a standardized, interoperable platform for municipal 311 services through the creation of a common API. San Francisco Mayor Gavin Newsom announced support for Open 311 in March 2010. More info: techPresident, govfresh. Know of others we should include here? • The O’Reilly Radar blog has provided some of the best coverage of Gov 2.0-related issues. • Personal Democracy Forum and its Resources page listing resources for nonprofits, blogs, campaign management and more. • techPresident: How campaigns are using the web, and how the web is using them. • Socialbrite: The best collection on the Web of tutorials, resources and tools for creating and distributing democratic media and social media. • Public Equals Online, another project of the Sunlight Foundation, enables people to sign a pledge in favor of government transparency, join a project or find an event. • Washington Post Congress Votes: This site lets you browse every vote in the U.S. Congress since 1991. Check your congressman’s voting record. • OMB Watch: Its role is to increase government transparency, to ensure equitable regulatory and budgetary processes and policies and to promote active citizen participation. • Follow The Money: A comprehensive resource about information on money in state politics. The site makes it easy to incorporate government contracts into your own tools to see how government funds are being spent. • Project Vote Smart: The project provides data on the backgrounds and records of thousands of political candidates and elected officials, detailing voting records, campaign contributions, biographical data and more. • LegiStorm: a government transparency site looking at congressional staff salaries and more. • USAspending.gov: Launched in December 2007, the site receives and displays data pertaining to obligations under the Federal Funding Accountability and Transparency Act, showing how federal tax dollars are spent. However, in late 2010 the Sunlight Foundation challenged the reliability of USAspending figures and launched its own minisite, Clearspending. • Utah.gov, the official website for the state of Utah: one of the best state government data sites (compared to California‘s, for instance). • NPAction: Take action to support public financing of elections. • FedSpending: Its database allows searching more than 160,000 reports from recipients of almost $159 billion in Recovery Act contracts, grants, and loans awarded between Feb. 17 and Sept. 30, 2009. • ManyEyes: text visualization project from IBM.